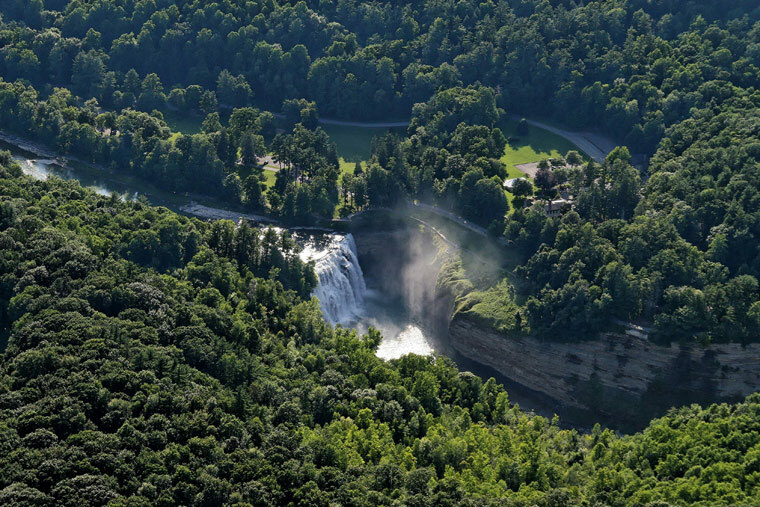 Calling Letchworth State Park, the "Grand Canyon of the East" is a rather large exaggeration, but it doesn't take away from the fact that right here in the backyard of New Yorkers is one of the most scenic areas of the eastern United States. 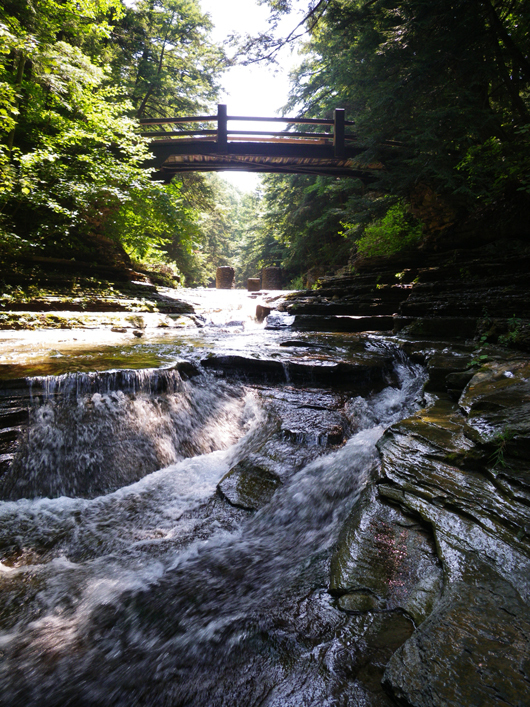 The Genesee River roars through the gorge over three major waterfalls between cliffs as high as 600 feet. Comprising 14,350 acres in the heart of three of New York State's most diversified vacation regions, Finger Lakes, Niagara Frontier and Chautauqua-Allegheny. Unlike the true Grand Canyon, this park is immersed in lush forests along its roughly 17 mile stretch of river. There's a seemingly endless supply of things to do in this spectacular park in every season. Its popular for hiking, camping, kayaking, whitewater rafting, swimming, horseback riding, biking, hot air ballooning, snowmobiling and cross-country skiing. I'm told in the fall it's nothing short of stunning, but this Florida girl was completely impressed by its summer show. 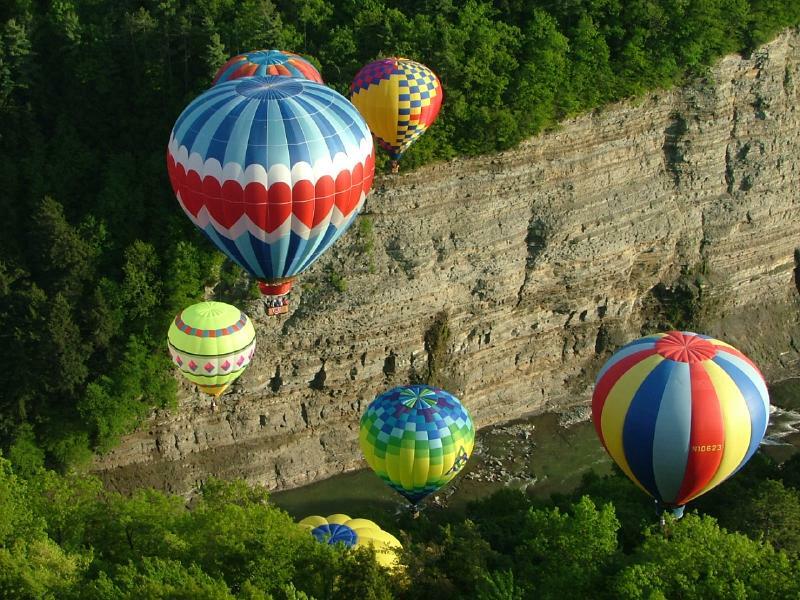 Nearby there are winery tours, the Corning Glass Works, sailing on the Finger Lakes, the Eastman House, Sonnenberg Gardens, the Albright-Knox Art Gallery, Niagara Falls, and the historic Erie Canal. I'm dreaming of returning in the fall (one day) to stay at the Glen Iris Inn which has to be near the top of the list for bed and breakfasts with the most scenic views (pictured in the arial views). I also intend to go hot air ballooning and horseback riding. As I said, to my brother, I can't imagine living up here and not visiting the park often. It truly is grand!